Point of Sale (POS) is also commonly referred to as the Point of Purchase (POP) or checkout. For a restaurant, retail or any other type of business where payment occurs face to face, the POS is the location where commerce is transacted. Many merchant services providers and sales professionals will refer to Point of Sale as only modern hardware / software, however for our purposes we will use this terminology to refer to any station in a face-to-face environment that can process payments. Although there are many diverse and creative ways to setup a Point of Sale system, which has been particularly evident through the use of internet payment gateways and mobile applications, we will cover the 3 most common POS setups for traditional brick and mortar businesses. A staple for small business over the last several decades, the traditional cash register with adjacent card processing terminal has provided an affordable method for taking payments from customers. While still prevalent any many businesses today, the traditional cash register is losing traction because the increase in use of electronic money and the decrease of hardware/software costs. Cash registers can vary from the very simple less than $100 variety all the way up to multi-function, 100+key, programmable industrial versions. 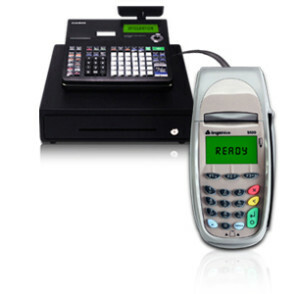 Card processing terminals have the same amount of variability in both cost and features. Some credit card terminals even come integrated directly into the cash register. There are various options from detachable debit pin pads and electronic signature capture as well. Although this combo is declining in popularity, it is still worth mentioning as a viable option for a business owner on a short timeline and budget. Although second on this list, this “plug and play” solution is the newest player in the retail point of purchase environment. Advances in technology over the last decade including, CPU power, internet connectivity, smaller sized components, the rise of USB popularity and lower costs have made this options very popular among many merchants. The simplicity is that almost any computer can be used. Although some merchants may dedicate a PC for payments only, many business owners find the flexibility of using a common or multi-purpose computer not only cost effective but also efficient. Many card processing technology providers have their own payment gateways but two of the most popular are First Data’s Global Gateway and Authorize.Net. The beauty of a payment gateway, is that it allows a merchant to take payments from any device that can access the web. This includes most smartphones and tablets also. There are many PC and MAC OS based software products that allow payments to be made. One of the most common is Quickbooks which affords a multitude of other features, including invoicing and inventory right at the POS. A popular software product exclusively for MACs is called Checkout, that also integrates with Enstore (online shopping cart) and AccountEdge (Accounting Software for MAC). Peripherals in this sense plug differently into the computer or adjoining devices. The most common example is a USB mag swiper that allows for fast input of credit card information and also affords the merchant the cost savings and security of a “card present” transaction. Other common devices are USB thermal printers, integrated cash drawers, debit card pin pads, bar code scanners and customer pole displays. 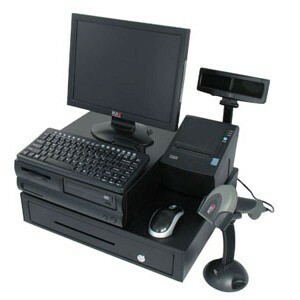 It is important to note that peripherals are not required and a merchant can get started with just a computer and gateway/software product. Contact Total Merchant Network today for a free 30min preliminary needs analysis to help determine the right solution for your business.